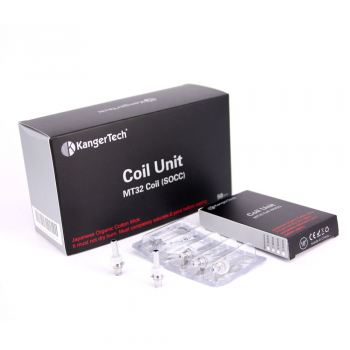 The Original Protank from Kanger in a gift leather box. 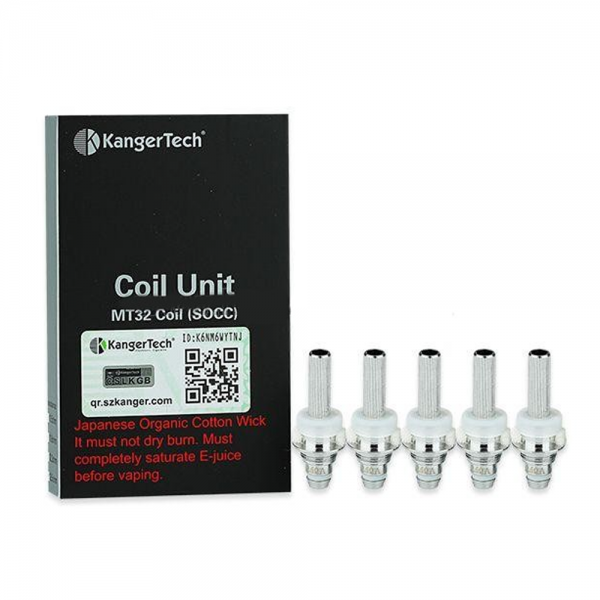 ..
"Japanese Organic Cotton - Featuring a Single Coil Wicked Design, Meant For Direct Replacements To EVOD/Protanks"
The classic Kanger Evod Clearomizers/Tank atomizer heads was amazing for the vape industry at its time of release. Now with these brand new, updated coils for the original EVOD, beginner vapers can enjoy vaping at beginner level, whilst staying updated with the latest technology. Kanger made the right decision introducing their OCC - Organic Cotton Coil from the subtank series. With these new SOCC Units, they will add a new experience to vaping for evod/ego style users. This will include a boost in performance (as in cloud production) and deliver more complex flavor components & notes that may not necessarily be experienced with the original EVOD Coils.